Sweden’s iZettle has raised 25 million euros (roughly $31.4 million) in Series B funding in a round led by Greylock Partners and Northzone. MasterCard, SEB Private Equity and prior backers Index Ventures and Creandum also chipped in. iZettle is the mobile payments technology company that is set to become Square’s biggest rival in Europe as Jack Dorsey’s venture works hard to legally and forcefully launch in several key European markets as soon as possible, according to a source close the company (it’s also quite an obvious next step for them to take). Needless to say, the new funding will be used to introduce iZettle’s chip card reader and iOS app in additional European markets and, notably, “elsewhere around the world” where chip cards are the standard (more on that below). As part of the investment deal, Laurel Bowden, Greylock’s partner in London, is joining iZettle’s board of directors. A former GE executive, her investments at the VC firm include Wonga, notonthehighstreet and Just-Eat. As we reported earlier, iZettle is currently beta-testing its social payment solutions with thousands of merchants in the United Kingdom to expand beyond the Scandinavian markets it has so far, and rather successfully, operated in. 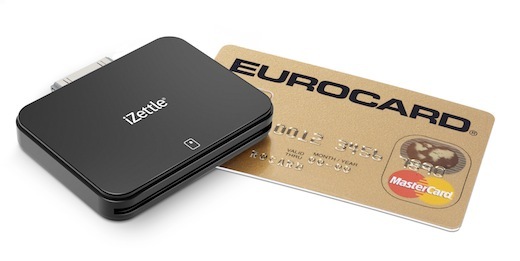 iZettle charges no monthly fee and 2.75 percent for MasterCard, Visa and Diners Club card payments, and 3.75 percent for American Express payments. The Stockholm-based company recently announced a brand new API for developers, allowing them to integrate the service inside third-party apps. What further differs iZettle from Square is that the former builds and distributes a chip card reader and app, while Square is all about magnetic credit and debit card processing. Which is working out well for Square in the United States, as it has just announced that it is now processing $6 billion in payments on an annualized basis. iZettle will – eventually – not only rival Square in Europe, by the way, as other competitors are popping up: the Samwer brothers are gearing up for the launch of EvoPay, while a startup called mPowa is prepping the debut of a similar mobile payments solution for small businesses in the UK. And then there’s PayPal. iZettle will be needing that fresh cash, in other words.